There is something you can do to help students improve their feelings toward writing. It is very easy to do and it only takes 5-10 minutes a day: a writing warm-up. I found that including a writing warm-up at the beginning of a writing block not only helps students get in the writing mood, but it also helps students to feel more confident as writers, and (dare I say) enjoy the writing experience. The two main goals of the writing warm-up activities are writing fluency and writing endurance. Writing Fluency: Writing without stopping. Students practice keeping their pencils moving during the entire writing warm-up time (starting around 3 minutes). Writing Endurance: Writing for longer periods of time. Students build up stamina and increase length of time they can stay focused on writing without stopping (start around 3 minutes and gradually increase the length of time. Cap it around 6 minutes). During writing warm up, students should focus on getting their ideas down on paper without worrying about spelling and grammar. This provides students with the freedom to write without rules. Thus creating a safe zone for students to push themselves with their writing and encourages them to take risks. You MUST write the whole time without stopping (that means NO erasing). Make a mistake? Cross it out. These guidelines help students practice writing fluency and endurance. Writing warm-ups are meant to be timed and short. Students should only have 3 – 6 minutes to write. As I mentioned before, spelling and grammar should not be a concern. When you first get started with writing warm-ups, only start with 2 or 3 minutes and then slowly increase the time throughout the year. When introducing writing warm-up for the first time, it is always a good idea to show and discuss a writing sample as well as model it. By doing this, you help students understand what is expected of them and it gives them an idea of how to get started. Additionally, I always end writing warm-up time with a quick share-out. I ask if anyone wants to share his or her warm-up and I select a few kids to share their writing with the class. Students stand-up and read their writing aloud. Celebrate each reader with claps or snaps. Even small celebrations of writing boost confidence and increase motivation. What Does Writing Warm-Up Look Like? I recently wrote a blog post about writing warm-up called, How to Increase Writing Confidence, where I break the writing warm-up into 5 easy to follow steps. Go check it out HERE. Give students a few seconds to get out their writing journals & pencils. Turn to the next page in their journal and write today’s date. Have them glance at their writing idea brainstorms in the front of their journal. Set Timer for 3 minutes. Remind students that pencils should be writing the entire time to increase writing fluency and endurance. Students should be writing the whole time! Once the timer goes off, have students put pencils down (even if they are in the middle of a sentence) and count their words. Write the number of words at the top of the page and circle it. Have them compare it to yesterday. Did they increase their word count? Choose a few students to stand up and read their writing. Celebrate with claps or snaps. Tip: When you first introduce writing warm-up to your students, write in your writing journal along with them. This models for them the behavior you want your students to emulate. When you finish, share your writing. This provides a standard of what is expected of students and offers examples to those who still might be a little hesitant. 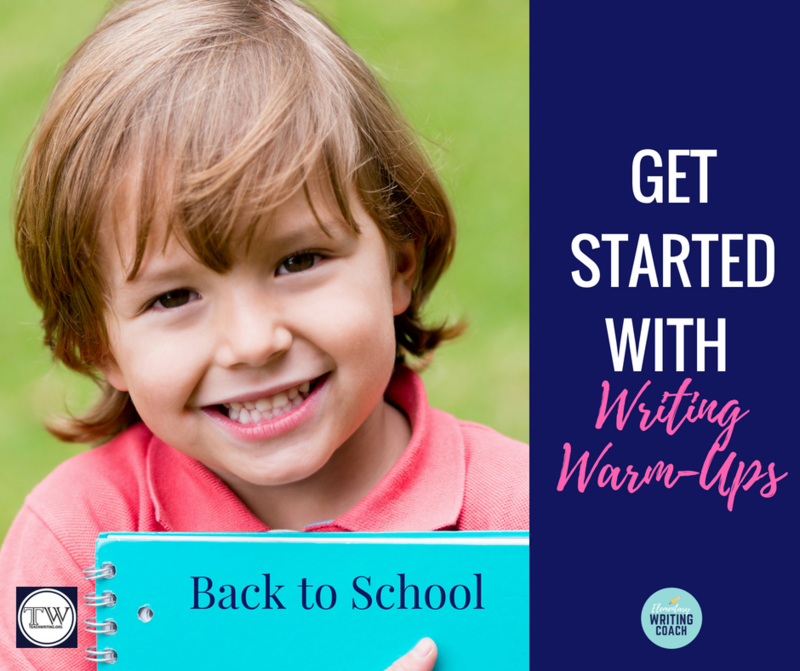 At the beginning of the year, you spend time introducing students to your expectations and procedures, so it is a good time to ease into writing warm-up. 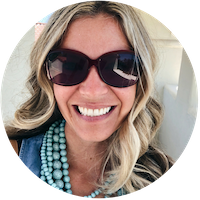 You should start with one type of writing warm-up (free write is the easiest) and eventually introduce students to the other types of writing warm-up activities. TIP: However, I never give students a writing prompt and tell them they HAVE to write about it. I believe in giving students choice during writing warm-up so they can write about whatever they want. I might provide a prompt as an option to write about, but during writing warm-up I never require them to write about a specific topic. Don't forget to download your FREE Anchor Chart for Writing Warm-Up Guidelines: CLICK HERE and scroll to the bottom of the page. I hope you enjoy doing Writing Warm-Up with your students! Have fun! !